The authorized representative of the company and/or website either seeking to become, or approved as being, a member of the Affiliate Program of Rebels Gaming Affiliates and the Brands it represents. The Affiliate Program is operated by Rebels Gaming. If You are not already a member of the Affiliate Program of Rebels Gaming Affiliates and the Brands it represents, We reserve the right to evaluate Your application and approve or reject it at our sole and absolute discretion. Upon successfully enrolling as an affiliate, You will be issued with an Affiliate Account, through which all relevant data relating to Your activities as an affiliate will be tracked. The full Rebels Gaming Affiliates terms and conditions agreement and the General terms and Conditions of Rebels Gaming, as entered into by Us and You, and as defined in these terms and conditions. The current version of The Agreement replaces all previous terms and conditions used by The Affiliate Program. You should also note that if You are successfully enrolled as an affiliate and Your company and/or website is thereafter determined to be unsuitable for the Affiliate Program, We may terminate The Agreement and close Your Affiliate Account. The terms “Bonus” and “Promotion” cover all incentives offered to Players. These include, but are not restricted to: “free money/cash/funds”, “free loyalty points”, “free spins”, “free games”, “cash-back”, “deposit bonuses”, “top-ups”, vouchers, rebates, discounts, and/or similar rewards new and existing depositors may use to bet or otherwise gamble for free or at a discounted rate in conjunction with any of the Brands We promote. The term “Brand” applies to Rebels Gaming Affiliates and any parties on whose behalf We offer any service (including, but not restricted to, affiliate marketing), and includes, but is not restricted to: all names, trademarks, trade names, websites, concepts and identities under which these entities operate and are recognized in the public domain globally or nationally. These include, but are not restricted to: Rebels Gaming and Rebels Gaming Affiliates and any other brand under Rebels Gaming Limited’s umbrella. The reversal of a payment previously made to a Brand We represent by a Player, or by the Player’s payment provider on behalf of the Player. In the event of a Chargeback occurring, the Chargeback will be deducted during the calculation of net revenues. “The Player” is a person referred or directed by You to one of Our Brands using Your unique tracking code who subsequently opens a member account with that Brand and makes a deposit. The use of Your unique tracking code links this player to Your affiliate account. By opening a Player Account, the Player becomes a Customer of Our Brand, and is subject to the same rules, policies, rights and restrictions and operating procedures as any other of the Brand’s registered members. In the event that You refer a person to one of Our Brands who subsequently opens a member account but does not make a deposit, the said person shall still be linked to Your account, but shall under these terms and conditions not qualify as a Player until they have made a deposit. A Player Account is defined in these terms and conditions as an account into which the Player can deposit funds, place real-money wagers and bets using those funds, and from which the Player may withdraw their winnings. “Fraud” and “Fraudulent Activity” are actions or attempted actions We and/or Our Brands consider to be deliberate attempts on the part of a Player or Yourself to gain via unlawful or unethical means a real or potential advantage at Our expense or the expense of one of Our Brands. This also includes Fraud Costs. “Fraud Costs” constitute any charges or costs (financial or otherwise) incurred by Ourselves and/or Our Brands as a direct or indirect result of Fraud committed by Yourself, Your employees, and/or any Players who have been referred to Our Brands by Yourself. “Gross Revenue” is the sum value of all revenues generated by Your Players, equal to the sum of all bets that have been successfully accepted by and settled with The Brand, after winnings have been deducted. “Net Revenue” is the monthly sum remaining after all costs (including, but not limited to: betting duties/taxes, third party commissions and/or game software royalties, service fees, financial transaction fees, bonuses, cashback, loyalty rewards/gifts, chargebacks, Fraud Costs and taxes) have been deducted from the Gross Revenue. Rebels Gaming offers a whole package of products including sportsbook and online casino products offered by a Brand as a professional service to Customers (including, but not restricted to Random Number Generator (RNG) games and live casino games). Any form of communication (including, but not limited to: e-mail, SMS/text messaging, and online forum/website comment/social media spam) sent by You to any number of individuals and companies where the communication is considered to be unwanted and/orunsolicited. You should be aware that You are strictly prohibited from engaging in such practices under the terms of The Agreement (see 6.9). Rebels Gaming Affiliates, and all Brands it represents including RebelsGaming.com, and all relevant websites including all national domain variations held by Rebels Gaming Affiliates and Rebels Gaming Limited. The Rebels Gaming Affiliates’ Website refers to www.RebelsGamingAffiliates.com. The Affiliate Backend is defined as the Gofiliate management system for Affiliates, or any other system Rebels Gaming Affiliates may decide to use periodically in its place, through which You can access various functions and assets (including, but not restricted to reports, marketing assets and tracking link generation tools), and can only be accessed using the username and password for Your Affiliate Account. Any information contained within the Affiliate Backend is to be considered confidential. The following terms and conditions fully define and govern the Rebels Gaming Affiliates terms and conditions agreement (“The Agreement”). Please read these terms carefully prior to submitting Your registration and using this service.By ticking the “I have read and agree with the terms and conditions agreement” checkbox on the registration form, submitting Your registration, You are declaring that You and the company/website You represent submit to and will be fully bound by these terms and conditions in their entirety for the duration of The Agreement. Upon completion of the registration process, You will be provisionally accepted into The Affiliate Program, subject to a subsequent review by Rebels GamingAffiliates, at a time of Rebels Gaming Affiliates’ choosing. Should We deem Your site to be unsuitable for The Affiliate Program, We reserve the right to terminate The Agreement and close Your Affiliate Account. In the event that We suspect You to be in breach of the terms of The Agreement, We reserve the right to investigate Your activities, and suspend and/or close Your Affiliate Account should We deem, at our sole discretion, these suspicions to be correct. Should You not agree with any of these terms and conditions, or are not authorized to submit this registration form on behalf of Your company and/or website, please do not proceed with the registration process. If You have submitted the registration process without agreeing to the terms and conditions and/or were not authorized to do so, please contact Us as soon as possible. Furthermore, once You have successfully registered as an affiliate with Us, continued use of any asset, product or service made available to You by Rebels Gaming Affiliates and/or Our Brands (including, but not restricted to: Your Affiliate Account, the Affiliate Backend, text and media assets, data, software and tracking links) shall confirm Your continued acceptance of the terms and conditions of The Agreement, and Your willingness to comply with these terms and conditions in their entirety. As affiliate, You accept sole responsibility for ensuring that the manner in which Our Brands are promoted through Your website(s) fully complies with all relevant local laws in Your country or territory of domicile throughout the life of The Agreement, including any and all changes to those laws. In the event that Yourself, Ourselves and/or Our Brands suffer harm or loss of any nature due to Your failure to comply with these laws, You agree to accept full and exclusive liability for this, and to absolve Rebels Gaming Affiliates and/or Our Brands of any civil or criminal liability or responsibility in the matter. In the event that You feel Your website is unsuitable to promote Our Brands, or if You feel You are unable to honour any aspect of TheAgreement, You are urged not to join The Affiliate Program. Furthermore, We reserve the right, at Our sole discretion, to terminate The Agreement and close Your Affiliate Account if We or Our Brands determine that Your site is unsuitable under, or is in breach of, the terms of The Agreement. The Agreement shall be governed by the laws of Malta. Both parties agree to enter into The Agreement in good faith, and agree to adhere to the points of The Agreement and act within the spirit of The Agreement at all times. Brands, We may use third parties for certain activities, including, but not restricted to, the processing of certain forms of payments, creation of assets, or affiliate management. Where such third parties are enlisted, they will act solely on behalf of Rebels Gaming Affiliates, which will carry full responsibility for the proper and full execution of The Agreement. and conditions agreement” checkbox on the form, You will be accepted into The Affiliate Program on a provisional basis. During this period, You will be subject to the same obligations and entitlements as a confirmed affiliate would under the terms of The Agreement (including, but not restricted, the non-transferrable right to refer customers to Our Brands). At a time of its choosing, Rebels Gaming Affiliates shall review Your Affiliate Account and aspects of Yourself and Your company (including, but not restricted to, Your website) to determine, at its sole discretion, if You are suitable for inclusion in The Affiliate Program. Upon successfully passing this review, the provisional period shall end and You shall be confirmed as a standard affiliate. In the event that We conclude that You are unsuitable for inclusion (for reasons including, but not restricted to, deeming Your website and/or marketing/promotional techniques to be incompatible with the terms of The Agreement and the spirit of The Affiliate Program), We reserve the right to terminate The Agreement and close Your Affiliate Account. represent operate(s) the website(s) through which Our Brands will be promoted Yourself/itself, and that the website(s) is fully authorized and suitable to promote Our Brands. Unless expressly agreed in writing by You and Us, both parties shall remain solely responsible for any and all costs (including investment and/or operating costs) they individually incur as a result of entering into The Agreement and its terms and conditions, and shall not hold the other party liable for such charges. Brands’ and Our Brands’ Products, shall be based on the Commission rates as per Sections 7, 8 and 9 of these terms and conditions. Payments will be facilitated by Us in accordance with these terms and conditions. Rebels Gaming Affiliates reserves the right to amend or alter payment methods and payment terms at any time, at its sole discretion. It is Your sole responsibility to remain informed about the latest version of the terms and conditions of The Agreement. terms and conditions, You acknowledge that under The Agreement, You are not granted any rights or privileges to assist in the provision of service by Our Brands to Your referred Players. You also acknowledge that as affiliate, You may only lay claim to Commissions and/or any other form or compensation relating to business secured by Yourself. marketing content, or any other content We or Our Brands make available to You, without obtaining Our prior written approval. Nor may You refer to Us, Our Brands and Our Brands’ Products in any promotional materials without Our prior written approval. The sole pre- approved and permitted way Our Brands’ Products may be represented by You is using the Hypertext transfer links, either in the form of a standard link, embedded text link, or a “clickable” banner, Skyscraper or MPU advert using approved advert imagery, at appropriate points. utilized to refer Players from Your website(s) to Us/Our Brands. traffic that has been generated in an illegal or unethical manner (including all forms of Spam) to be a Fraudulent Activity. As an affiliate, You agree not to knowingly employ or benefit from such methods of traffic generation. In the event that Rebels Gaming Affiliates, at its sole discretion, deems You to have willingly engaged in such practices, Rebels Gaming Affiliates will retain Your Commissions. This decision shall be final and no correspondence will be entered into on this subject between the parties. Furthermore, Rebels Gaming Affiliates reserves the right to retain all current and future earnings due to You. In the event that You have unknowingly engaged in such activities, Rebels Gaming Affiliates reserves the right to withhold any payments (such as referral fees) due to You that have resulted from such activities. 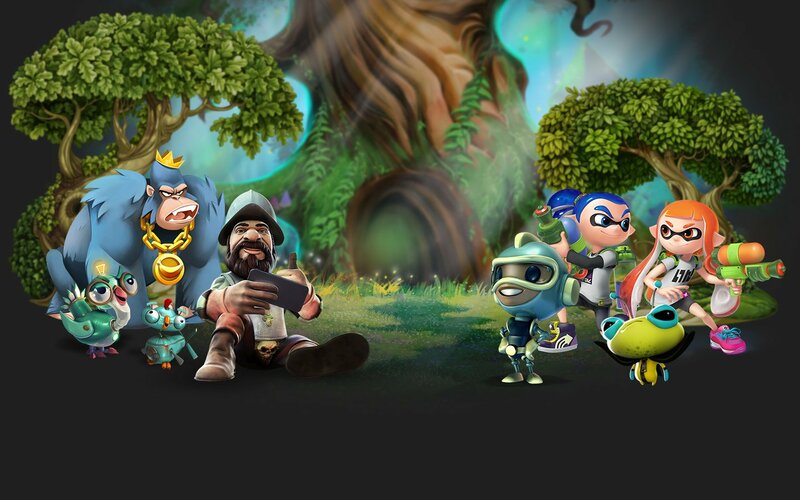 to an incidence of plagiarism by another affiliate, Rebels Gaming Affiliates reserves the right to reassign earnings from the offending to the offended party. If You feel You have been affected in this way, please contact us at the earliest opportunity. You are precluded from sub-licensing, assigning or otherwise attempting to transfer these to a third party without first obtaining the written permission of Rebels Gaming Affiliates. You also recognise that Rebels Gaming Affiliates and/or Our Brands shall at all times remain the sole owner(s) of this Intellectual Property, and You will at no time during the term of The Agreement or at any point thereafter contest this, or attempt to render this invalid or unenforceable. available to You by Us in a way that is detrimental to the reputation or goodwill of Rebels Gaming Affiliates or Our Brands. this Agreement, to use Our trademarks, service marks, trade names, logos, designations, copyrights and other proprietary rights (“Intellectual Property”) solely in connection with the display of banners and other media material made available by Us to You and relevant, appropriate content on Your website or publication. You are not permitted to use the aforementioned materials made available to You under this license in any other way without Our written permission to do so. 2. Rebels Gaming Affiliates will issue You with links for inclusion on your website which will, among other things, be used to track Players referred by You to Us/Our Brands. Rebels Gaming Affiliates reserves the rights to update these links occasionally. Gaming Affiliates will make all reasonable efforts to ensure that any Player referred by Your website to one of Our Brands, who subsequently makes a deposit, shall be designated as originating from You. However, Rebels Gaming Affiliates shall not be held liable if it is unable to determine the origin of a referred Player (e.g. as a result of the misplacing or incorrect use of links on Your website). technical platforms (including, but not restricted to the GoFiliate platform) it sees fit to assist it in the execution of The Agreement. website(s)/publication(s) to ensure it complies with the terms and conditions of The Agreement. As affiliate, You agree to provide Us with the necessary information to enable Us to do so, at no charge to Ourselves or Our Brands. contained in The Agreement if there is legitimate reason to do so, at Our sole discretion. In the event that the terms and conditions of The Agreement are amended, altered, expanded or in any other way changed, You shall be informed of this by means of the publication of the updated terms on the Rebels Gaming Affiliates’ Website. Affiliates views it as Your soleresponsibility to remain informed about the latest version of the terms and conditions of The Agreement at all times, and considers the publication of these on its website to be sufficient for You to inform Yourself of any changes. However, to assist You in this, We will make reasonable efforts to notify You of changes to the terms and conditions of The Agreement. After notification, Your continued use of the Rebels Gaming Affiliates’ Website shall constitute Your acceptance of the revised terms. If You do not agree with any revised terms, please contact Us at the earliest opportunity. Please be sure to review the terms and conditions of The Agreement periodically. PLEASE NOTE: YOU ARE NOT PERMITTED TO MAKE, OR ATTEMPT TO MAKE, MODIFICATIONS, AMENDMENTS, ALTERATIONS, ADDITIONS, DELETIONS OR INTERLINEATIONS TO THE AGREEMENT. ANY ATTEMPTS TO DO SO SHALL NOT BE RECOGNIZED BY REBELS GAMING AFFILIATES AND SHALL BE NULL AND VOID. Employees, officers or agents of Rebels Gaming Affiliates or Our Brands are not authorized to verbally alter, modify or waive any provision of The Agreement. - Are not permitted to have more than one Affiliate Account. - Shall not earn Commission on the Net Revenue on Your own Player Account, or the Player Account(s) of Your employees and/or family members. - Shall not offer any potential Player, whether directly or indirectly, an incentive or benefit (including, but not limited to, the payment of money) for using the services provided by Ourselves or Our Brands via Your operation (for instance, using links on your website to access the site(s) of Our Brands and open a member account). - Will not attempt to modify, redirect, substitute or in any way interfere with the operation of any interactive feature found on Rebels Gaming Affiliates Website or any of Our Brands’ websites. - Will under no circumstances attempt to read, record or intercept any information submitted via the Rebels Gaming Affiliates Website, or any of Our Brands’ websites by any other individual or entity (including, but not restricted to, electronic forms), nor will You attempt to submit such information on behalf of an individual or entity. - Will not perform, or attempt to perform, transactions of any kind on behalf of any other individual or entity, or assist or encourage any other individual or entity in doing so. - Will not attempt to artificially increase your rate of commission or any other payments due to You from Us. - Are at least 18-years-old (in Greece 21), or have reached the age of majority in your country or territory of domicile (whichever age is greater). Rebels Gaming Affiliates reserves the right at any time to request that You produce proof of identity and billing address. Failure to produce adequate documentation may be interpreted as Fraud.o Will be prohibited from reapplying for a new Affiliate Account in the event that You have had an Affiliate Account with Us previously that has been closed due to a breach of the terms and conditions of The Agreement, and fail to disclose this. - Will not claim, or attempt to claim, commission on a new Affiliate Account created by an individual or entity who already has another Affiliate Account registered with Us. Brands and/or any other affected party, all parties agree that all information contained within The Agreement shall be treated as strictly confidential and handled as such. This includes, but is not restricted to the terms of The Agreement, and all data and/or technology that has been transferred or made available to a party or parties as a part of The Agreement. All parties shall be prohibited from directly or indirectly utilising such information and/or technology for any means (including all business purposes) throughout the lifetime of The Agreement and beyond, unless it should become publicly accessible through a source other than the involved parties. By agreeing to the terms of The Agreement, You may become privy to Confidential Information and/or technologies that are used by Rebels gaming Affiliates and/or Our Brands in our daily operations and other areas of Our business(es). As Affiliate, you agree to safeguard this Confidential Information from disclosure and unauthorized access and use, whether accidental or deliberate, by third parties, without first obtaining the express written permission of Ourselves and/or any other affected party that you may do so, for the express purpose of executing The Agreement. In the event that The Agreement is terminated, this obligation shall remain in place. or territory of domicile, as well as those of any country or territory in which You operate. money laundering or comparable illegal activities. Under the laws of some of the countries and territories that We and Our Brands operate in, Rebels Gaming Affiliates has a legal obligation to inform local and/or federal authorities if We are aware, or have grounds to suspect, or suspect that you are, indirectly or directly, involved any illegal financial activity including, but not restricted to: handling funds derived from illegal activities, concealing funds derived from illegal activities, or using, or attempting to use, The Affiliate Program to facilitate any form of criminal activity. of any of the activities outlined in 6.2, 6.3 or 6.4, we reserve the right to suspend, and/or close Your Affiliate Account, and suspend payments to you with immediate effect and with no prior warning. At its sole discretion and/or where required to do so by law, Rebels Gaming Affiliates also reserves the right to report You to any relevant authorities in your country or territory of domicile and/or business activity, with no prior warning to You. to purchase or bid for in internet search engines, keywords based on Our or Our Brands’ trademarks to be a breach of the good faith between the two parties as outlined in section 2 of the terms and conditions. confuse individuals and/or companies in Your website’s URLs is restricted. Brand names orsimilar words may under no circumstances be used as domains or subdomains. Should We feel that You have infringed upon this point, it shall be considered to be a breach of the good faith as outlined in section 2.
websites of Rebels Gaming (including its language-specific subversions), Rebels Gaming Affiliates or the websites of any of Our Brands. You also agree not to use anything that may, directly or indirectly, give the impression that your site is Rebels Gaming, Rebels Gaming Affiliates or any of Our other Brands, or part thereof. behalf of Rebels Gaming Affiliates, Rebels Gaming Limited or any of Our Brands, nor shall You enter us into any obligations beyond those stated in the terms and conditions of The Agreement without Our prior written approval. You refer to the Brands represented by Rebels Gaming Affiliates. The nature and rate of commission shall be agreed upon by You and Us, and shall be paid to You monthly. Customers who have existing Player Accounts with Our Brands. You shall be entitled to receive Commission on Your Players for their lifetime value, effective from their first deposit, except in the event that The Agreement is terminated for whatever reason. Our Brands, and the relevant data will be presented in the form of reports that You will be able to access via the Affiliate Backend using Your Affiliate Account username and password. Rebels Gaming Affiliates reserves the right, where it deems necessary, to change the content, frequency, style and formatting of these reports. ensure all provided tracking links are correctly implemented on your website(s) or publication(s). In the event that You do not employ the correct tracking links, you will not be eligible for Commission payments due for Players who have been referred using the incorrect tracking links. access to the secure areas of the Rebels Gaming Affiliates Website (i.e. those areas which require a login to access, including but not limited to, the Affiliate Backend) is subject to stringent confidentiality requirements. Any intentional or unintentional misuse of these facilities shall constitute a substantial breach of the terms and conditions of The Agreement. Your Referral fees will be based on a good-faith calculation by Ourselves, based on our statistics. The required minimum amount due by Us before a request for payment can be made by You is €100. Gaming Affiliates reserves the right to request You provide us with adequate proof of identity, place of residence and/or billing address, and/or bank details at any time and without notice. Failure to provide Us with adequate documentation in a timely manner may result in the suspension of some or all of Your payments until We are satisfied that no fraud exists. By entering into The Agreement, You herewith confirm that You accept that Rebels Gaming Affiliates may, from time to time and at its sole discretion, change the payment method & timing used to pay Your Commission. In the event that such a change is required, it is Your responsibility to ensure You have an account with a supported payment method into which Your earnings can be paid. Agreement, You agree not to hold Rebels Gaming Affiliates or Our Brands liable for any currency conversion charges Your bank or payment method provider chooses to apply when receiving the funds. The activities of Your Players who use a currency other than the Euro as their base currency and the commission they earn You shall be converted into Euro or Pounds Sterling by the Affiliate Backend, using the daily exchange rate from Google, Yahoo or a similar Source as we see fit. Payments shall be authorised around 10 working days after the end of the month during which Your commission was earned. Commissions are processed automatically by the system but are not credited at the affiliate platform but at your BetRebels client account that you need to open once your affiliate request has been approved, so there is no need for You to file an invoice. You can see Your current earnings from within the Affiliate Backend. Affiliate Account are up to date at all times. Payments made by Us to You will be made solely to the method and account You provide in Your Affiliate Account. Any payment issued to the details as provided in Your Affiliate Account will be considered to be final. We reserve the right to deduct any costs Rebels Gaming Affiliates and/or Our Brands may incur as a direct result of Your failure to provide correct payment information from Your future earnings. month) Rebels Gaming Affiliates shall make reasonable effort to come to an amicable repayment schedule with You to correct the amounts. In the event that this is not possible, We reserve the right to deduct, at our sole discretion, amounts from Your current or future earnings until the correct balance has been restored. You for any reason (including, but not restricted to: payment information that is incorrect, missing or invalid), and if You fail to respond to all reasonable attempts to contact You (including, but not restricted to, via the telephone number, address and e-mail address You provided when registering) after a five year period, You shall forfeit all claim to that payment and the payment shall be cancelled. Are available only on request and at Our sole discretion. The nature and rate of commission shall be agreed upon by You and the third party affiliate, prior to the sub-affiliate or the third party affiliate being evaluated by Rebels Gaming Affiliates, and shall be paid to You monthly. have, the required legal authority to enter into The Agreement and fulfil its obligations as specified in these terms and conditions in their entirety. This includes, but is not restricted to, the issuing of rights and licenses as described in these terms and conditions, including when acting on behalf of another party (such as Our Brands). required authorisations, permissions, registrations and licenses required to fulfil their obligations as described in these terms and conditions in their entirety and in accordance with all applicable laws and regulations, and shall maintain these in order to meet such obligations for the duration of The Agreement. be Inappropriate Content. Inappropriate Content includes, but is not restricted to: content that is pornographic, narcotic, unlawful, harmful, obscene, defamatory, threatening, harassing, politically sensitive, violent and/or that discriminates on the basis of race, ethnicity, religion, gender, age, disability or sexual orientation. You also undertake not to publish copyrighted material, or in any way use Intellectual Property which You are not authorised to use. anyone below the age of 18 or the age of majority in Your country or territory of domicile and/or the country or countries Your website targets (whichever age is greater). This includes, but is not restricted to, the publishing of content or the making available of facilities to gamble that could be deemed to be appealing to children and/or under-aged people. Although We and Our Brands make every effort to ensure Our Brands’ Websites are operational at all times, neither We nor Our Brands offer any assurances that the services We and Our Brands offer You and Your Players will be uninterrupted and/or error-free. As a result, neither We nor Our Brands will be liable for the consequences that arise from a loss of service or any other errors. - You breaching the terms and condition of The Agreement, including any warranty or representation contained therein. - Negligence on Your part, including but not restricted to, breaching laws or regulations. - A failure to meet Your duties and obligations as specified in the Agreement. - Any injury that has arisen as a result of Your actions or failings, whether deliberate or accidental, and whether direct or indirect. - Unauthorised or otherwise inappropriate use of any marketing material or links made available by Us or Our Brands to You. Furthermore, You shall indemnify and hold Us and Our Brands harmless from all claims, losses, damages and expenses (including reasonable legal expenses), along with any relevant tax fees that may arise as a result of the operation and content of Your website. The contents of 12 shall not limit Our or Our Brands’ liability in the event of wilful misconduct. - Any financial or economic losses, including but not restricted to loss of revenues, profits, savings or business. - Any loss of standing or other forms of relationship with Your customers or business partners. - Any indirect losses.o Any loss of goodwill or reputation. - If Your website is deemed to be unsuitable for reasons including, but not restricted to, being in breach of 9.3 of these terms and conditions, both during the review process and at any point thereafter. unresolvable breach, We reserve the right to terminate The Agreement with immediate effect. - If You are failing to promote the Brand(s) in question adequately. - If You become insolvent, file for bankruptcy protection, or are in any way unable to service Your debts, irrespective of whether such arrangement were entered into voluntarily or enforced by court order. - Ownership of Your business, or part thereof, changes (for instance, through the sale of the parent company). The Agreement to the other party. This may be submitted in the form of a signed letter, or via e-mail sent to/from Your current contact e-mail address, as listed in Your Affiliate Account, and may not be back-dated. In the event that We terminate The Agreement, the termination shall take effect immediately. o Return to Us any Confidential and/or Customer Information we or Our Brands may have given to You, along with any copies made of them. You will also remove completely from Your Websites and/or other publications any Trademarks, Marketing Materials and any other Intellectual Property belonging to Us or Our Brands, and destroy any copies of such information You have. - Release from all commitments, liabilities and obligations Ourselves, Our Brands, Our payment providers, contractors and suppliers, along with Our/their employees, directors and representatives effective from the date of termination, with the exception of those provisions designed to endure beyond this point, as outlined in the terms and conditions of The Agreement. - Be aware that The Agreement shall remain in effect until the date of termination, and that You shall remain liable for any breach of The Agreement prior to this date.o You shall continue to be eligible to earn until the date of termination of The Agreement, but not beyond this date. In order to ensure the accuracy of Your final payment, We maintain the right to withhold payment for up to two months while the final amount is calculated. In the event that You are granted permission to continue to generate revenue after the date of termination of The Agreement, this shall not constitute, nor should be interpreted as, a renewal of the Agreement or an overturning of its cancelation. under The Agreement and any subsequently) shall be cancelled effective from the date of cancellation. any commitments or obligations beyond the date of termination of The Agreement, with the exception of any clauses specified in The Agreement designed to endure beyond the date of termination of The Agreement, and the relevant portions of other clauses required for such clauses to remain active. employment contract between You and Us, and/or Our Brands. The Agreement does not authorize one party to act as a representative of the other, or in any way act in the name of, or on behalf of, the other (including, but not limited to, offering any warranty or assurance on behalf of the other party, or entering the other party into any form of obligation or liability on its behalf). The relationship between You and Us and/or Our Brands is defined as being contractors. will not be treated as such with regards to the tax or social welfare contribution payments system of any country whatsoever. specifically and may not be transferred, sub-licensed or sub-contracted to any other party (whether assigned at law or in equity). Any attempt to initiate such a transfer shall be deemed to be a breach of The Agreement, and as affiliate, You shall continue to be liable for Your meeting Your obligations and commitments. provisions of The Agreement are invalid or unenforceable, this shall have no bearing on the validity or enforceability on all remaining provisions of The Agreement, which shall remain in effect. announcements relating to The Agreement, or any of its clauses, without receiving the express written permission of the other party first. The Agreement shall be construed in accordance with and be governed by the laws of Malta. In the event that a claim, dispute or matter arising from or in connection with the Agreement and its enforceability cannot be settled by both parties, Each party irrevocable submits to Arbitration in Malta.